RSS is a term that encompasses a number of web feed formats used in the publication of frequently updated works such as information on news-related sites, blogs, forum posts. Articles can contain both text and links to media such as images, movies etc. The most commonly used formats are RSS followed by Atom. HAC can process both these formats plus some custom formats as well. It can also process sources from either a URL or a text file. Usually the term RSS is generic and refers to RSS plus Atom and custom formats. With HAC, users do not have to specify the format because HAC tries to be flexible and process as much of each article as possible. For each article it is asked to keep, it saves every field it can parse, and also saves their field names. This allows the programmer/user to decide which fields to use. Fields are created by HAC in the order in which they were found. Apps handling news feeds need some protection because RSS feeds can potentially be huge and any attempt to download/process the entire feed could cause a memory exception in the app. Therefore HAC allows feeds to be interrogated for their size and has options to process a specified range of articles. For instance, if there were 1000 articles in the source, then the user might like to just look at articles in the range 100 to 150 without downloading/parsing the entire source. Here are some example feeds used in testing the HAC RSS example project. Get feed from URL or a file. Parse the feed for articles. The format of articles is explained below. 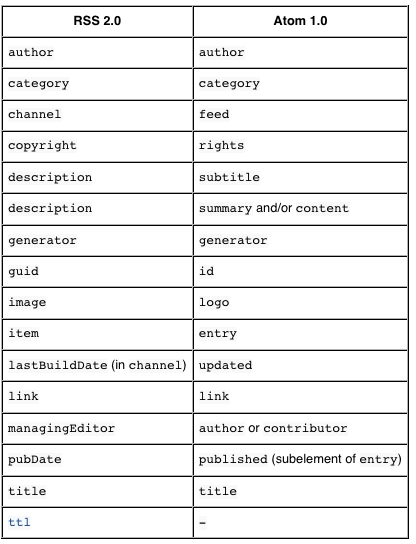 Feeds are comprised from a number of articles and each article can have several named fields although there can be more than one field with the same name. The situation can be more complex though as some sources use custom formats where fields have sub fields etc. Custom formats are more complex to parse and HAC RSS parsing currently doesn’t support them as its parser just looks for top level elements/fields. Here we will show you the scripts behind a basic RSS reader that can work with the formats: RSS, Atom and some custom ones. As mentioned above there are 3 stages to reading an RSS feed although HAC combines both the fetch and parse stages into one function. Note, for clarity, it does not show any error checking. To parse an RSS source use the RssParseSourceFN function. This function returns a count of the number of articles found although if an error occurred it returns -1. It automatically stores any retrieved articles and their field names so later they can be processed or displayed. Note, for app safety, a maximum article limit must be specified so for instance if the feed contained a million articles then your app could limit itself to just 100 articles. There is also a start value that enables a number of articles to be skipped. It you just want to count how many articles are in the source then use the RssParseCountFN function. This parses the source but does not store any articles. Again, for safety it requires the maximum number of articles to parse. The example below shows how to do this. Once the articles are retrieved to memory then they can be processed and displayed. The RssArticleCountFN returns the number of articles previously retrieved and can be used to loop over the articles. Each article has a number of named fields such as AUTHOR, CATEGORY, DESCRIPTION etc. There is no restriction though on uniqueness of the field names so for example an article might have several fields named DESCRIPTION. Furthermore, articles within the same feed can have different numbers of fields and different field names. The number of field names and a list of their names can be retrieved using the functions RssFieldCountFN and RssFieldNamesFN respectively. Note, all field names are forced to uppercase. There is also a function called RssFieldListFN that returns in list form the name of every field found in the source. The script below shows how to retrieve the contents of a known named field called DESCRIPTION from article number 5. The script below shows how to loop over all of the fields in article 5. Once you have finished using the retrieved articles it is a good idea to clean up and free the memory they occupied, especially if hundreds or more articles were retrieved. The RssClear command frees memory used for storing all article headers, fields and articles themselves. This article shows how to create a very simple RSS reader using HAC and briefly looks at a few of its RSS commands/functions. For more details see the project link below. Read RSS, Atom and some custom formats. Read from either a URL feed or a text file. Skip articles and retrieve just a range. For more information about creating RSS apps with HAC, look at HAC’s built-in help or its HAC Help pdf. There is an RSS project and its built app on our examples web page http://www.hypernextandroid.com/hnfiles/rescreator.html The project example is only test bed that demonstrates HAC’s RSS functionality.